This entry was posted in Car Insurance on 06/29/2016 by admin. Today’s vehicles are more stylish, comfortable, and fuel efficient than their predecessors of a decade or two ago. They’re also more likely to be recalled. And, while some of these recalls can be for minor upgrades to troublesome software, others can actually put your life or the lives of your passengers at risk. According to vehicle history provider Carfax, there were approximately 258.5 million vehicles on the nation’s roads, as of October 2015. Of those, at least 47 million have unrepaired, open recalls – which translates into one out of every five vehicles operating on U.S. roads having serious, if not potentially deadly mechanical issues. In fact, you may be currently driving one or may buy one in the future as a used vehicle. Unfortunately, if the vehicle has changed hands and the new owner has not received notification from the manufacturer, the possibility exists that they are unaware of the recall unless they research the vehicle’s history. As a result, the National Highway Traffic Safety Administration (NHTSA) launched a “Safe Cars Save Lives” campaign for consumers to search their vehicle by VIN number or vehicle make or model to see if it appears on the federal recall list. Because the database provides instant results, consumers can contact their nearest auto dealer to schedule an appointment – with repairs usually performed free of charge. The largest recall in recent years has been the one involving the Takata airbag defect – responsible for the deaths of at least 11 people and affecting almost 70 million vehicles worldwide. • Toyota announced that almost 3 million SUVs had defective seatbelts that could separate from the seat upon impact in an accident. • Fiat Chrysler has recalled over one million vehicles because of unexpected rolling and transmission issues. • Both GM and Ford have had to recall almost 90,000 vehicles due to possible incorrect welding of the vehicles’ front control arms. • Honda has recalled 45,000 new Civics to correct a problem with the engines stalling while the car is being driven. Of course, it is the vehicle owner’s responsibility to have the defect repaired in a timely manner once he has been notified of the problem. But, with a massive recall, such as the one involving the dangerous airbags, parts may or may not be readily available at your local dealer. And, it can become a waiting game while parts are on back order. However, Carfax points to the fact that the danger of driving a vehicle with defective auto parts is magnified by careless or lax vehicle owners who fail to follow through and obtain the necessary repairs to fix these problems. And, according to the company’s recent data, the states with the highest rates of unrepaired, recall vehicles were Texas, Mississippi, Alaska, Utah and West Virginia. 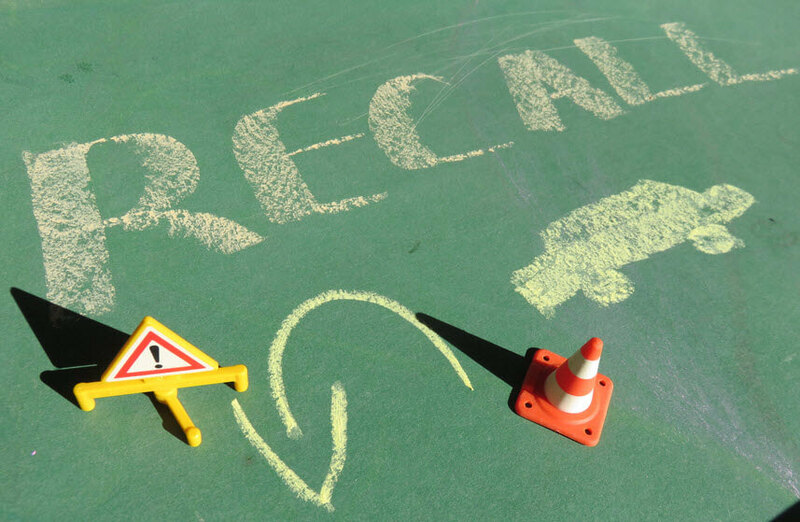 With another six months to go in the 2016 model year, more recalls are a distinct possibility and are sure to continue into next year as more potential issues pop up among all of the major auto manufacturers. Driving around in a car that has been recalled and not doing anything about it isn’t very wise. But, then – neither is paying too much for car insurance when you can easily get a free auto insurance quote online and start saving.